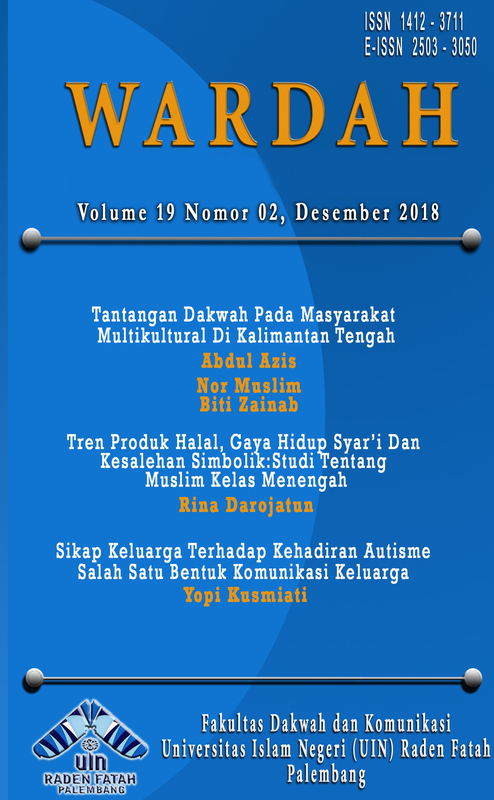 Jurnal Wardah is a journal of da'wah, communications and community studies published by the Faculty of Da'wah and Communication Universitas Islam Negeri (UIN) Raden Fatah Palembang. Wardah Journal is published twice a month in June and December. Contains writings raised from the results of research and scientific studies in the field of Da'wah, Communication, and Social Society. The journal receives submission of original documents based on library or field research.